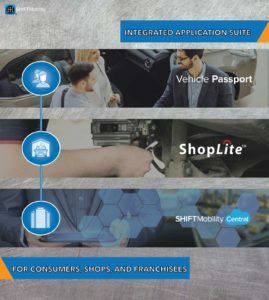 5 Tips to Turn Your Auto Repair Shop into a $1M Business - ShiftMobility Inc.
There’s no shortage of repair shops, but to stand out from the crowd and transform your business into a money-making machine you need more than bright signage, free coffee, and word-of-mouth. With our solutions deployed in shops large to small, we’ve collected the five things the most successful service centers focus on and which can help you launch and build your $1M repair shop. Before a customer walks in the door you should already have a general understanding of their spending habits, common requests, and whether they historically act upon service advisor recommendations. Top shops understand where their customers are coming from, the vehicles they own, what they’re buying, how often they are returning, and what they can do to stay abreast of changing technology and market dynamics. These shops also understand that today’s customers are vastly different than those of a decade ago; they’ve become accustomed to seamless experiences on their mobile devices, prefer texts to calls, scrutinize online reviews, and expect a solid digital presence prior to setting foot in a brick and mortar shop. Knowing this, your shop should do the utmost to engage with customers on their terms. Build trust and loyalty by ensuring they feel like they’re in knowledgeable hands through proactive digital engagement aimed at fostering lasting relationships. Remember, trust is the most valuable asset you can build for your business, and adapting to changing customer preferences and technology can work wonders towards towards this cause. The $1M shop owner focuses on efficiency and time maximization. The first step towards turning your shop into a well-oiled profit machine is getting out from behind the desk and optimizing processes daily. Delve into the metrics to understand how to maximize bays and billed hours. Leave no stone unturned, from scheduling, inventory, CRM, marketing, and accounting. Finally, every team member must have a clear and targeted task direction. Competent technicians able to leverage the latest technology to their advantage. Great service writers that understand they’re not selling a product, but the solution. They must know the biz, be strong communicators, and always listen to the customer. Seamless team communication. This means weekly meetings, goal planning, and continually raising the bar. Whether it’s finding the right part for the service, searching available inventory, writing up a customer, or checking service history and recommendations, steps get missed somewhere along the line from the initial greet to cash out. Successful shop owners know that everyone must be on the same page and execute their tasks accordingly. With a solid structure in place you can concentrate on individual tasks while remaining prepared for the next. By working together and delivering the incentives necessary to support team members you’ll hit your goals in no time. Gain control of your business by realizing that speed, mobility, and customer satisfaction are all directly related. Sacrifice one, and the rest suffer accordingly. Institute a process spanning from the front desk to the technician, parts, and back. Conquer your daily challenges with precision until processes are as smooth as can be. Weight services against labor time and compensation. Know how customers are checked in and managed, how to create a superior front office experience, and how you can best market to reach the customers you need to drive growth. With the right solution, your shop can think bigger, be faster, and work smarter.